After months of speculation, rumored pics, rumored specs, rumored release dates, rumored designs, it seems that the unveiling of the Samsung Galaxy S3 is FINALLY upon us. 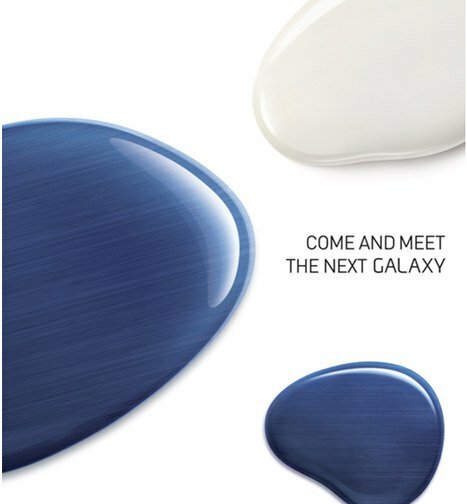 Samsung has began sending out invitations which read "Come And Meet The Next Galaxy“, and with all the hype around this device, "the next Galaxy“ is SURELY the long awaited Galaxy S3. The invitation doesn't specifially say Galaxy S3, but I highly doubt Samsung is referring to the next Galaxy Tablet, especially considering that new Galaxy tablets were just launched last week. The event is scheduled for May 3rd in London, and rest assured that AndroidPIT will be there live when this baby launches! Lol..no problem bro. Its all good :-D Besides, you know I like going head to head with you :) Its always funnest doing that with people like yourself with technical knowledge. Ouch I did it again! Made you think I was yelling at the monitor with an angry red face while I really had a prankful smile on. Sorry, it was meant in a kidding argument-vaporizing way. Especially the part with the "payed for" - we all like Android, I guess, so no suitable Android device can be of "no real purpose" to us. I know it is too much to assume this level of understanding, when we don't really know each other. I just wanted to poke, not flame, you. Guess I overstepped. Whoa whoa whoa! Take it easy buddy! I thought we were joking around, not trying to restart the Padfone thread? Im not going to argue in this thread why I have my views on why the Padfone too expensive and a mid end device. If you wanna go down that road, take it back to the Padfone thread? And again, I am entitled to my opinion exactly the same way that you are, and losing your head trying to get personal with a "what does androidpit pay you for" comment only shows immaturity. I get news to write about Android devices AND my opinions on those devices, and I welcome anyone to disagree with me! But if you really wanna get personal, thats actually a bit sad, as I thought we were done with all that. Seriously man...common. It was all love and smiles in this thread before you went down that road. Wrong again! I didn't invent the device, Asus did. And unlike yours, it will be a reality, even soon. Also it is one device that can be used in a way you needed two devices before, for the price of [insert comparison when price is known]. Mid-End? The Snapdragon S4 is at least a lot faster than ANY other dual core and it took four cores from older designs to at least make it a battle (the outcome of which is still not fully explored). It would have been high-end in every aspect just half a year back and is still superior to what 95% of the people visiting here have in their pocket. No Real purpose? Remind me again what AndroidPIT pays you for? Is it or is it not a fully fledged Android device? As to the boring - I like the design, at least it's not shiny black plastic again. And dont worry...the 33% your gonna lose from investing in Stefans idea will be picked up by the 333% I will make from your initial investment . LMAO! And I vow if I become a millionaire soon, that I will create a tablet and a smartphone that can also dock with each other AND can be used seperately with a dock and keyboard for 800 euros, and that it will DESTROY your Padfone! Who wants to loan me and Stefan a million? Dont be greedy guys. Haha, I fall on the 'anti-Padfone' side of that argument! I figure the S3 will be as large as the rumors say (4.65 to 4.8 inches). That alone will be too much for some. And that is why I think they will soon after show something like a S 2.5 with 4.3 inches, to catch those that want a new Galaxy but are alienated by any of the S3 specs. Being somewhat fond of my Galaxy S and always thought the S2 having been the best device for the price for quite some months, I am glad the S3 (probably) comes just in time for my next contract. I would like to at least give it some thought before I make the final decision. Exactly how I feel as well. I just dont want to see an LG or Sony Nexus device. To be honest, I had my hopes up for a Motorola Nexus, and if they dont do it, then I hope Samsung gets it again. Crazy, as I used to ALWAYS prefer HTC devices. So sad whats happening to them. @Eric, lol, didn't pick up the sarcasm there! :-) I did read that the New Sammy TV's will also be running Android though, which is cool. And I'm also very happy with my Galaxy Nexus, still an awesome piece of gadgetry!